The latest trend in Bollywood is the race of making a successful biopic. In the last few years, Bollywood has seen many biopics being made and a dozen filmmakers are in the process of making many more of them. A biopic is normally made on the life of an influential person who has impacted society with their work. As per the trade analysts, biopics, if told honestly onscreen, are bound to be well received by audiences. 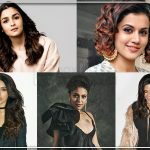 While most filmmakers who have played it safe with biopics have made a lot of money at the box office, there have been several biopics that have been made on politicians, criminals, sports personalities, influencers, businessmen and even on Bollywood stars. 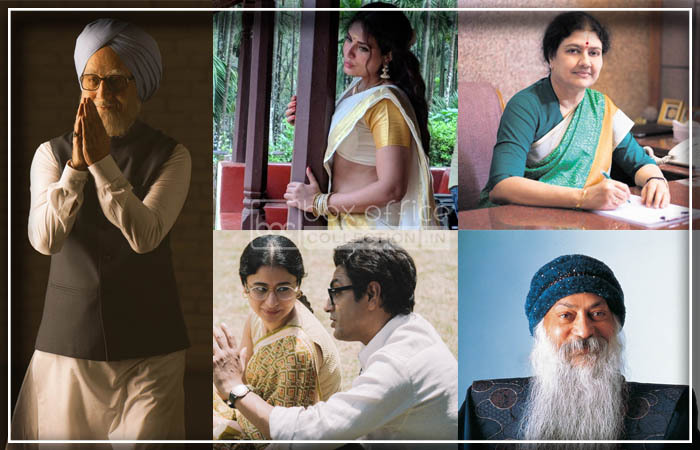 Some of these biopics have done well even when the protagonist was an anti-hero or had a few controversies attached to them even though they were public figures. Lets us look into some of the biopics that have been made or are being made on controversial public figures who even after having dark truths attached to them make for an interesting tale to witness. Shakeela: Fukrey’s Bholi Punjaban, Richa Chadha has some interesting projects lined up this year. Other than Amazon Prime’s original series Inside Edge season 2, Richa will be also be seen in Anubhav Sinha’s Abhi Toh Party Shuru Hui. She has also recently started shooting for Indrajit Lankesh’s Shakeela Khan, a biopic on the immensely popular Malayalam adult film superstar. Shakeela was considered as one of the most controversial figures in the south film industry. She started off her film career at an early age and went on to becoming stiff competition for many popular Malayalam superstars because nobody could compete with her. The film is controversial not just because of her foray into adult films but her choices in life, the difficulties she had to face, the producers and actors who have either belittled her or misused her and how she triumphed through it all. Richa is currently shooting for the film in the remote village of Karnataka and the film is slated to release mid-2019. Manto: Actor and director Nandita Das’ upcoming biopic on the life and works of Urdu’s most celebrated poet and writer Saadat Hasan Manto is one the most awaited films of the year. The title character Manto enacted by versatile actor Nawazuddin Siddiqui and his wife Safiya Manto enacted by Rasika Dugal is one of the biggest reasons audiences have been keenly awaiting the release of the film. Manto’s life and writing have always been into controversy. His writings were so controversial that he was forced to leave the country. His stories were deemed obscene by the courts and he spent his last years fighting legal battles to defend his right to write. Sasikala: One of the most controversial and immensely talented filmmakers Ram Gopal Verma aka RGV after delivering the third instalment of Sarkar movie series, last year announced a biopic on late Tamil Nadu Chief Minister J Jayalalithaa’s close confidant VK Sasikala. Convicted former AIADMK leader VK Sasikala, who is currently lodged in Bengaluru’s Parappanna Agrahara Jail, has many controversies attached to her attracting filmmakers to helm a biopic on her. Sasikala is convicted by Karnataka High Court in the Disproportionate Assets Case. RGV is yet to announce the cast of the film but if he chooses to plan the film it would make an interesting plot to see on celluloid. The Accidental Prime Minister: One of the most awaited films of the year is The Accidental Prime Minister an upcoming Indian biographical political drama film directed by Vijay Ratnakar Gutte and written by Mayank Tewari. Anupam Kher will be seen playing as the former prime minister of India Manmohan Singh, the economist and politician who served as the Prime Minister of India from 2004 to 2014 under the United Progressive Alliance. The film is based on the 2014 memoir of the same name by Sanjaya Baru. The film is slated to release on 21 December 2018. The film already attracted multiple controversies around it due to its bold content as mentioned in the book. The book says Manmohan Singh during his tenure turned a blind eye to corruption by his colleagues in Congress. He was often blamed by the press that Sonia Gandhi was the power in the centre and took all the major decision undermining the authority of Prime Minister. Manmohan had no control over his Cabinet colleagues in his second terms. This biopic would make an interesting plot to see the real-life political drama on one of the most controversial figures of the current time. The rest of the cast includes Akshaye Khanna, Suzanne Bernert, and Aahana Kumra amongst others. Osho: The man who needs no introduction, Osho, was a guru and cult leader. A commune that began as forward-thinking and progressive ended up being a shocking dictatorship with a private army, cases of poisoning, silencing rebels etc. His followers were world over and flocked to his Pune ashram and then to Oregon too. While there is a Netflix series on the guru, news has been doing the rounds that Aamir Khan, our favourite perfectionist might be doing the role of Osho in an upcoming biopic on the guru. We are yet to hear an official announcement but if there ever was a life filled with controversies that needed to be made into a film, it has to be Osho’s and who better than Aamir to play it.